Childminding Matters is a childcare agency based in Norfolk. Following changes within the industry it wanted to expand its business in a new direction and target the provision of nannies and high quality childcare to professional parents in the North Norfolk area. To do this it needed a stylish modern name and identity that would communicate the new brand values, appeal to its target audience but also not alienate existing clients; and all within a tight budget. To achieve this, Ideology came up with a new name and strapline for the business. We then created a stylish identity using both classic and contemporary elements. Subsidiary graphics utilise cut out paper shapes – images that can be created by anyone, including – and especially – children. These images have a duel purpose. 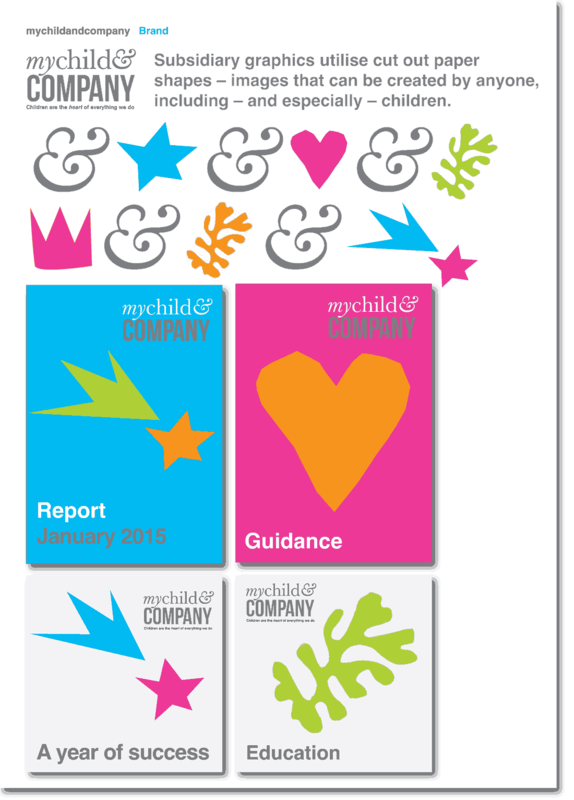 Not only do they reflect the ethos of the organisation (fueling the creativity and education of children when being looked after by mychild&company carers) but provide an ever changing source of imagery that is economical to produce and doesn’t require the commissioning of external designers / illustrators. 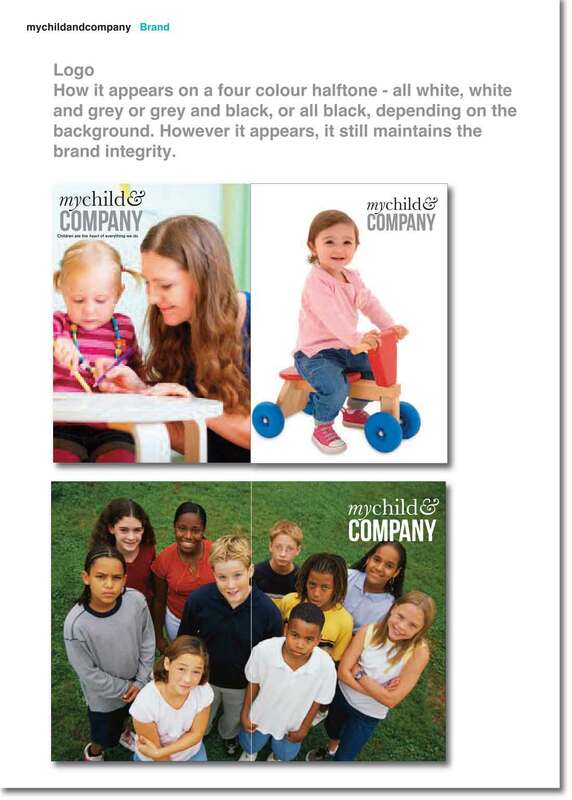 The use of the distinctive mychildandcompany ampersand juxtaposed with the rough cutout shapes creates visual interest as well as re-inforcing the brand. Ideology transformed our branding. We had been stuck in a rut for years, but now we have a fresh new image which matches our hopes for the future. Patsy Withers, director MyChild & Company.